UNITED NATIONS (AP) — He railed against Israel, condemned "rapacious capitalism" and predicted the collapse of the "American empire." He defended Holocaust revisionists and denied that Iran had any homosexuals. 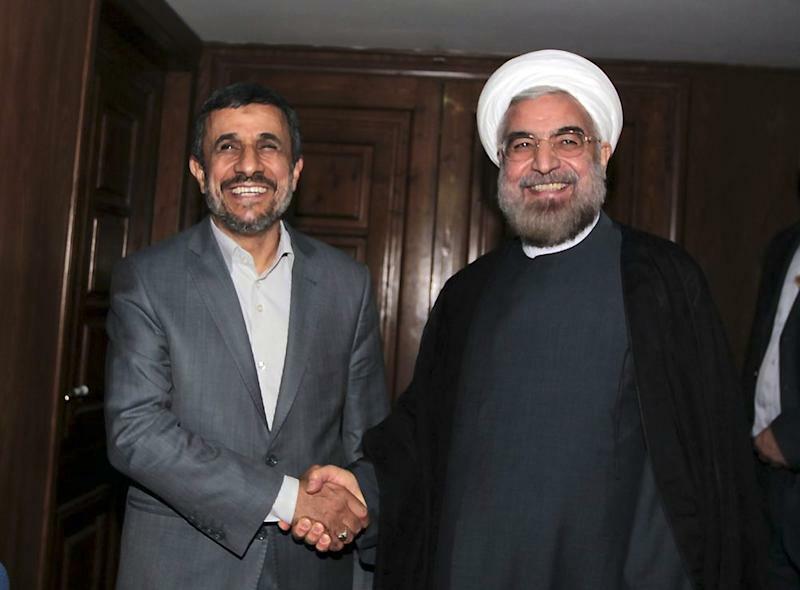 Whenever Iranian President Mahmoud Ahmadinejad took the world stage, he was sure to inflame tensions. As his successor Hasan Rouhani prepares to address the United Nations for the first time on Tuesday, he has already made a deep impression on world leaders with his markedly milder tone and apparent willingness to reopen negotiations with the West on Iran's disputed nuclear program. He has raised hopes of a long-elusive warming of U.S.-Iran ties with his condemnation of the Syrian chemical weapons attack and his Cabinet's greeting to Jews on their New Year's holiday, Rosh Hashanah, earlier this month. His foreign minister agreed on Monday to restart nuclear negotiations with six world powers later this week on the sidelines of the U.N. General Assembly. In contrast, Ahmadinejad was jeered and pilloried during his eight visits to U.N. headquarters in New York. Most of his speeches to the General Assembly were boycotted by the U.S., Israel and Western allies. Here is a look back at some of Ahmadinejad's more memorable comments. In 2007, Ahmadinejad was in New York to address the General Assembly. He also delivered a speech at Columbia University where he provoked derisive laughter when he responded to a question about Iran's execution of homosexuals. 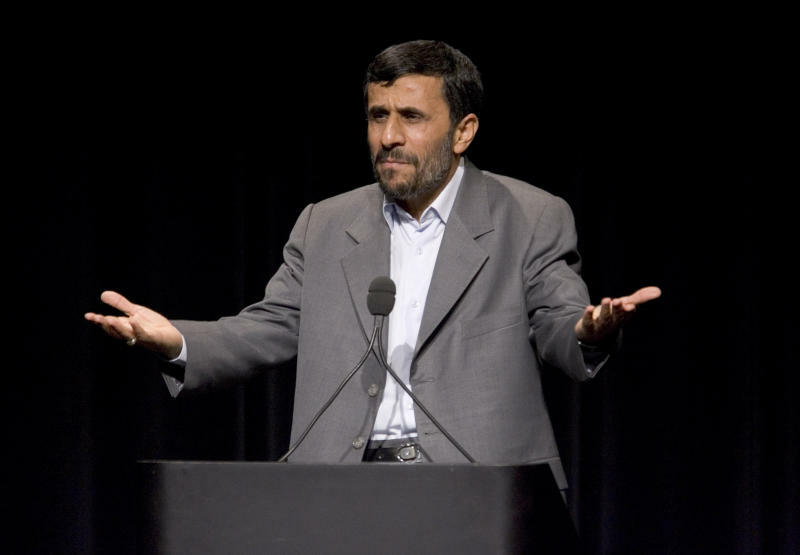 "In Iran, we don't have homosexuals like in your country," Ahmadinejad said. At that same 2007 speech at Columbia, he defended Holocaust revisionists. The speech caused such outrage, he was forced to cancel a trip to Ground Zero because of planned protests and fears for his security. In 2008, Ahmadinejad bashed Israel, saying "the Zionist regime is on a definite slope to collapse, and there is no way for it to get out of the cesspool created by itself and its supporters." In 2012, he declared Israel has no place in the Middle East. In 2010, Ahmadinejad perpetuated the conspiracy theory that Americans were behind the Sept. 11 attacks, saying they were staged in an attempt to assure Israel's survival. He said the U.S. used the attacks as a pretext to invade Afghanistan and Iraq. In 2006, he accused Washington of abusing its power in the U.N. Security Council to punish others while protecting its own interests and allies. He said it had become an "instrument of threat and coercion" for the U.S. and Britain. Separately, at a news conference, he expressed love and affection for the American people. In 2008, he declared that "the American empire" is nearing collapse and should end its military involvement in other countries. In 2009, he lashed out at the "rapacious capitalism" of the U. S. and its allies. He accused the West of hypocrisy, saying it violates the fundamental principles of the democracy it preaches. But in an Associated Press interview, he urged President Barack Obama to view Iran as a potential friend instead of a threat. In 2011, he poked at a sore spot for the U.S. and Europe by referring to their former slave trade. He also singled out the U.S. for using a nuclear bomb against Japan in World War II and imposing and supporting military dictatorships and totalitarian regimes in Asia, Africa and Latin America. 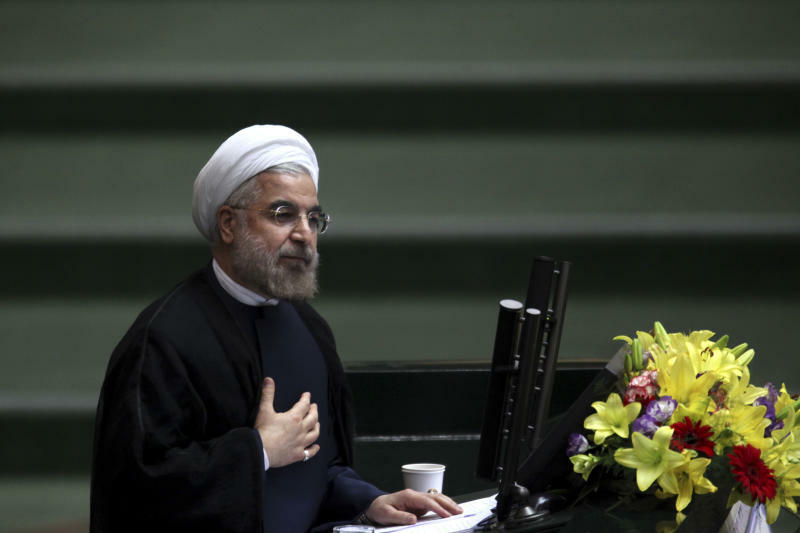 In 2005, the Iranian leader accused unnamed "powerful states" — an apparent reference to the U.S. and some European countries — of engaging in "nuclear apartheid" by barring some nations from gaining access to peaceful nuclear technology. Afterward, Ahmadinejad said he felt "bathed in light" during his speech and claimed his audience was so enraptured that they "did not blink."